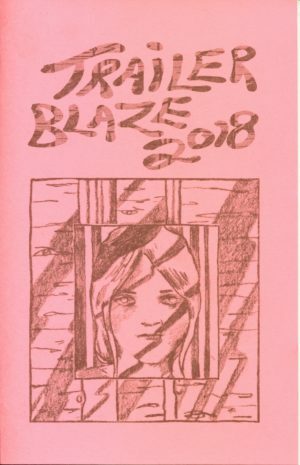 For this commemorative zine, residents were asked to contribute an excerpt from the project they were working on during the residency, or images inspired by the residency. Now in our store! Suzette Smith, E.T. Russian, Lauren Armstrong, Elaine Lin, Rosie Lockie, Gillian Rhodes, Liz Prince, Emilie Bess, Eroyn Franklin, Kelly Froh, Megan Kelso, Nicole Georges & Ponyo.